because I *heart* stupidity. . .
Click here to see a very silly video! 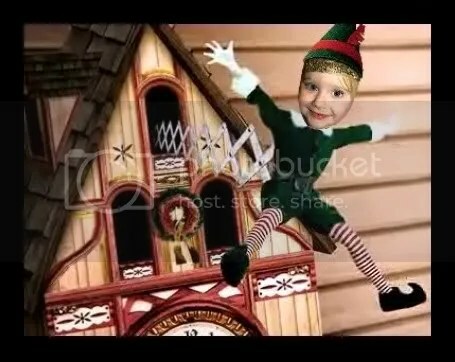 Click here to see an even sillier video! *giggle* Cracks me up EVERY TIME!!! Teaball, too. SHE thinks these are awesome. She’s been begging me all day – “Mommy, can I watch my show, please?! I’m a great singer and dancer!” I know she recognizes that its her face in these videos, but I’m not so sure she realizes that it isn’t actually HER. Which is also pretty silly! 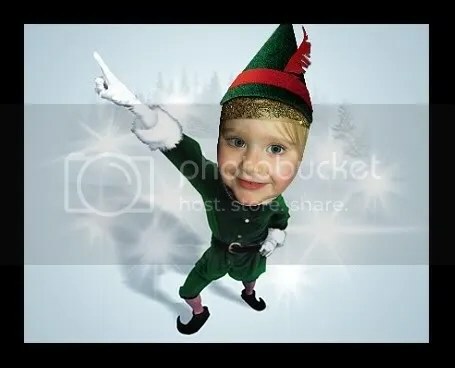 Make your own at Elfyourself.com. All you have to do is upload a picture. . .and giggle! They are too funny! How wonderful that she thinks it is really her. LOL, so cute! My kids will love this! EPIIIICCCC!!!!!!!!!!! That 2nd one was AWESOME! It’s strange to see T bust those moves, but I love it!! How funny! Great minds think alike, huh? I love it!! I love these videos! Fun, fun! what a hoot!